Originally engineered for good posture, Fjallraven Kanken debuts a new design, which is slightly different from its iconic one. It sports durable leather handles, and is constructed from Fjallraven Kanken's resilient G1000 fabric. The all-new design also features a longer handle that allows you to carry it as a shoulder bag. This versatile three-way bag can be matched with various outfits. 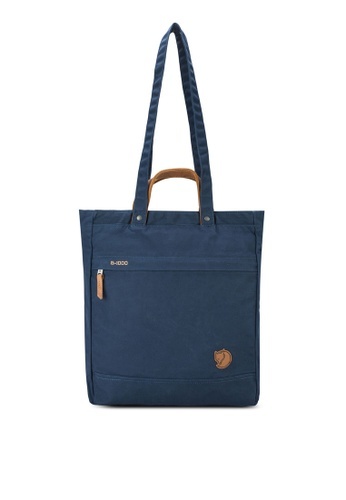 Can't find Navy Kanken Totepack No.1 in your size?